Beware the tower of bunnies! 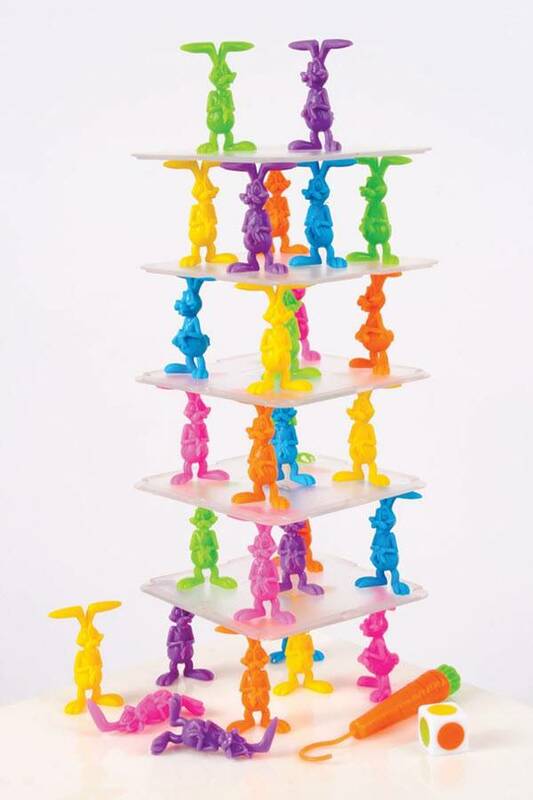 A fun filled game, simply build a bunny tower with the provided disks and bunnies, then try to remove the bunnies one by one. The person with the most bunnies removed when the tower falls, wins! Perfect game for Easter baskets or family game night!